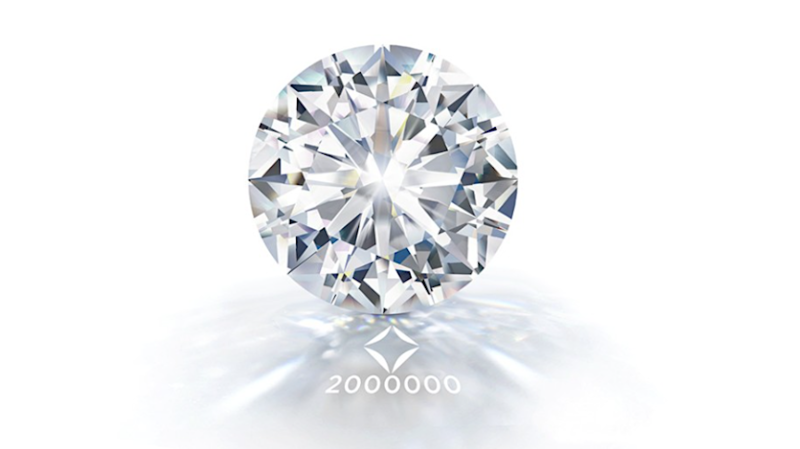 Diamond jewellery retailer Forevermark, which sells selected De Beers gems, has marked a milestone by inscribing its two millionth diamond — a 3.48 carat round brilliant that now bears a ‘2,000,000’ imprinting. Less than 1% of the world’s diamonds are eligible to become Forevermark. The diamond — mined, cut and polished in Namibia — will be set in a piece of jewellery at the Forevermark Design and Innovation Centre in Milan, Italy, De Beers said. South African Louise Kriek, the 2015 runner-up of De Beers Group’s Shining Light Awards, will be in charge of the design as part of a three-month internship at the Milan centre. De Beers’ Shining Light Awards support aspiring jewellery design students across Botswana, Namibia and South Africa. The Forevermark brand was launched in 2008 with the promise of diamonds that are rare, beautiful and responsibly sourced. Since then it has expanded to reach 25 markets worldwide. Last year, De Beers spent $85 million on marketing Forevermark. It sells very unique gems, each of which is inscribed with the brand icon and a unique identification number, invisible to the naked eye.